Three retrograde hands alternately display the seconds on three sectors of 20 seconds each. This model is based on what can be seen in this video published by Salwad. Note that in this 3D model, the springs are not displayed. 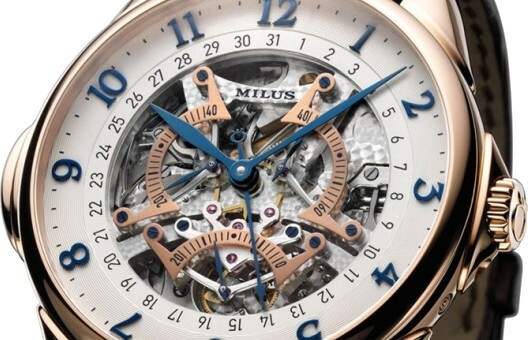 The tri-retrograde jumping second mechanism can be found in several Milus watches. The mechanism of these amazing timepieces is a creation of Jean-Marc Wiederrecht, a master watchmaker from Agenhor.